Bitterly cold temperatures throughout North Texas brought some light winter weather to the area on Monday -- and more dustings of snow could come through the week. Some parts of the area saw sleet, snow, or freezing rain on Monday morning, with more of the heavier precipitation falling in the eastern portions of NBC 5's viewing area. 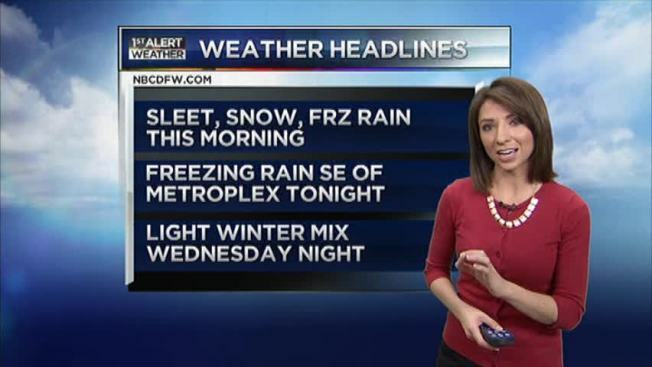 NBC 5 Meteorologist Samantha Davies says areas southeast of the Metroplex may see some freezing rain on Monday night. 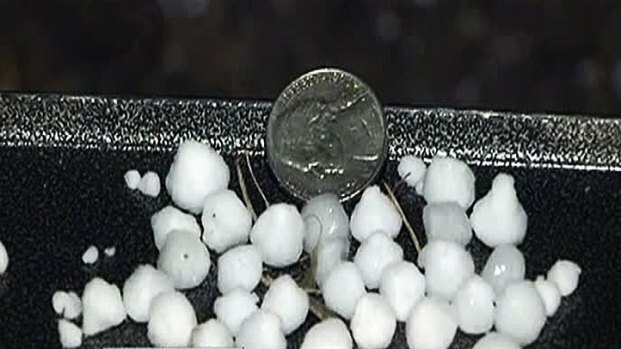 Graupel, a snow pellet that looks like small hailstones, fell on many roadways during the winter precipitation event. The frigid weather is causing roadways to fill with snow pellets and some ice to build on bridges and overpasses Monday morning. Cold temperatures are expected throughout the week, with a possible warm-up to the high 50s for the weekend. Click here to read the full NBC 5 Forecast.